Let us face the reality. Everyone makes mistakes, and most of these errors turn into a source of valuable lessons and inspirations in our lives. Unluckily, some mistakes may follow you for your entire lifetime. If you get an arrest for drinking under the influence (DUI), the consequences may go beyond potential jail term. Your punishment for DUI follows you even after the courtroom and can have lasting impacts on your career. This post sheds light on some of the impacts of a DUI conviction on your career. The first result of your conviction will inevitably be the suspension of your driver’s licence. After your licence is suspended, you will be issued with an exemption for driving to and from your workstation. Without your own means of transport, you will need to find other forms of transportation. For example, you may hire a private driver, take a taxi, or utilize public transportation to your workplace. Using a bus may turn to be unreliable and can end up costing you your job due to lateness. Moreover, if you job is all about driving, you may lose your job. Most of the employers provide in employment contracts and handbooks that if you get a conviction for a crime, it will be the grounds for your firing. If your employer is among such bosses, you may not keep your job. Companies that adopt this policy requires you to notify them promptly on an arrest. According to this article, an employee may be fired regardless of whether a mandatory firing policy is in effect. This is because some jobs require employees to maintain high levels of trust with the management, which DUI seems to break. If you job necessitates you to drive and you manage to retain your license, you may not get insurance from your insurer on the grounds of a DUI. If your work requires you to drive heavy vehicles and you have a cover from your company, your employer may end up losing their coverage if they continue having you on their team. This may leave your company with no choice but to have you fired. However, you may manage to get a cover, but it will be extremely expensive, which you or your employer may not afford. Ultimately, you may lose your job, as your employer cannot continue keeping you on the company’s premises while you are uninsured. Many professional licences, like those for doctors, plumbers, nurses, and lawyers require a licence holder to report any arrest and conviction to the respective licencing agency. As it’s explained in this article, getting intoxicated affects your coordination, concentration, and perception. Depending on the standards and rules of your agency, your licencing agency may use this as the grounds to take your professional licence from you. If you lose your licence, you will automatically lose your job. As the world and technology are growing, employers require more educated and qualified workers. You may be needed to get an advanced training or advance your degree to get employment. Unluckily, a DUI conviction can block your chances of furthering your education. More colleges are increasingly changing their regulations to ensure the safety of their students. 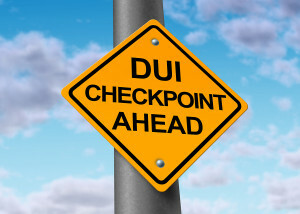 A DUI conviction will minimize the chances of your application going through. This will not only cut short your prospects of furthering your education but will also constrict any chances you may have of moving up the career ladder. The best advice you will get if you want to drink and drive is never to drink and drive. Otherwise, you might find yourself in regrettable situations. However, life still needs to go on even after a drinking and driving conviction.